Get customised online stores allied to your marketing goals. Online stores are a booming business in Australia and Complete Cloud helps you build shopping carts that are easy to manage and tailored to your specific business goals. The section below provides answers to some of the most frequently asked questions on online stores. "What is an online store?" An online store also referred to as e-commerce allows people to buy and sell products and services online where the transaction is completely electronic. The majority of online stores are retail stores that sell products to the public (B2C) but there are also business to business (B2B) sites selling products to businesses. "What are the benefits to the buyer?" Consumers can shop from their own home, in their own time. Consumers have more options than ever before easily accessible through search engines or comparison sites. More information is available than ever before including product review videos and feedback from other consumers. One of the key drivers for users shopping online other than convenience is price. Businesses selling online often have lower costs and pass on the savings to consumers. "What are the benefits to the seller?" Businesses can reach more consumers online and are not limited to a geographic location. Business can remove their largest traditional retail overhead; expensive retail space and retail staff. An online store can be more flexible and can react faster to market trends and conditions, easily catering to changing consumer trends. If positioned correctly online stores can cater to multiple markets or more easily move into similar products than traditional stores. The largest brick and mortar retailers have found that if they don’t move with the times they will be left behind. This creates opportunities for businesses that can cater to changing consumer needs. "How do I get my online store set up?" Our expert team take away the stress of setting up your online store by guiding you through the process step by step. Our aim is to help you showcase your products in the best possible way to make it easy for your customers to buy from you and ensure your online store is a success. We also teach you how to update your store yourself so that you can keep your store fresh and up to date. If you need help determining the best product range for your business to stock or how best to merchandise your stock, our premium plans come with business coaching. We can also help you set up your online marketing with our email marketing, pay per click (PPC) and search engine optimisation (SEO) services. "Can I update my online store myself?" We understand that things constantly change in business. Whether it is your product range, the services you offer or business details. Your online store includes an easy content editor which allows you not only to update or remove products and product categories but also update other key pages on your site including terms, company details or other content. You have complete control to update all areas of your online store when you need to. "Is there any training provided with the Content Management System (CMS)?" The CMS (content management system) is very intuitive and easy to use. As part of deployment of your online store we arrange a training session and train you on how to use the CMS for your online store. We are also available for support if you ever run into issues or have any questions. "Can I get e-mail with my website?" Your website comes with a hosted email package that allows you to manage your personalised emails professionaly for your business. You can set up multiple email addresses for individuals or for parts of your business such as sales@YourBusiness.com.au, info@YourBusiness.com.au or john.smith@YourBusiness.com.au. For enterprise level features and back up you can also choose hosted exchange. "How do I attract customers to my online store?" Similar to a traditional retail store, the most challenging part of starting an online store is getting customers to visit your online store. That is where the similarities end. The online marketplace is saturated with competitors of all shapes and sizes and consumers can easily find a number of online stores selling a particular product category through search engines. Online marketing provides the opportunity for small business to complete with the largest businesses as the marketing conditions are the same for all companies. To create online marketing success you need to create an online marketing strategy that is optimised for your products in your market. Ongoing success requires continual monitoring and tweaking as the online market moves much faster than traditional retail. At Complete Cloud we can help you with your online marketing with our email marketing, pay per click (PPC) and search engine optimisation (SEO) services. "Will my website appear in search engines?" Your website won’t appear in search engines immediately after you build it. Search engines take time to crawl your site and update their databases. To give your website its best chance to rank high in organic search results you need to optimise your website using search engine optimisation (SEO). Many customers will come to your store through search engines such as Google, Yahoo and Bing. Ensuring your online store is SEO (search engine optimisation) friendly gives you the best opportunity to rank higher in search engine results. 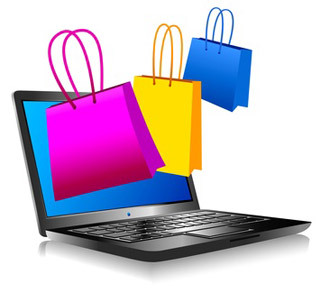 Our online stores are built on the latest industry standard search engine friendly framework. This will allow you to add information to each product specifically to meet search engine criteria, fast tracking you over your competitors that simply add a product image and description. Your store also has in built sharing features to help you extend your reach in the social world. "Can I reach my mobile customers?" Your mobile customers can view and purchase products with a mobile optimised version of your online store on their Smartphone. Your customers no longer have to squint to browse your products or enter their create card details on their phone, they are presented with a easy to navigate user friendly version of your store. A better experience for your customers will lead to increased mobile sales and a better bottom line for your business. "Are there any other costs involved?" Our online store packages include everything you need to get your online store set up and generating sales including web hosting and support. The only additional fees you will incur will be from the payment gateway you decide to use. Payment gateways charge you fees to process electronic payments such as credit cards. "How do I accept payment?" You can decide to accept payment in the way that most suits your business including credit card, paypal, cheque or direct deposit. The most common form of payment is through a payment gateway. A payment gateway links the website to a bank. Payment is verified by the bank before the order is complete with the money going directly into the sellers account. Your store will allow you to take payment from over 50 payment gateways or if you have an online merchant account with your bank we have a number of gateway plugin options. Do your products come in different styles, sizes, colours or dimensions? Create unlimited product options to help customers pick the product that is right for them. You have the freedom to create the product configuration options that best suit your business and present your products in the best way. Delivery is very important to online users, so important that many customers do not complete an online purchase due to poor delivery terms. Your online store allows you to create multiple delivery options based on size, weight, and location. You have the flexibility to create the delivery options best suited to your business. "Can I report sales and visitors to my online store?" Your reports allow you to monitor and track your sales over time and learn about your client’s behaviours to help you make changes that lead to more sales. Reports include sales data, audience behaviour, page and product views and many more. You can use this information to find out what is working for you and use it to make changes to improve your online store. If you are after in depth analytics your online store can integrate with Google Analytics. "Do you provide support after my site is created?" All of our monthly website plans come with comprehensive 24x7 phone, email and chat support so we are here whenever you need us. We can also provide you support on how to get the most out of your online store and ensure it is working for you the way you intended it to. For the latest technology news, tips and tricks subscribe to our newsletter.